The Shanghai Art Museum is an art gallery in the city of Shanghai, China. It is located in the former clubhouse building of the Shanghai Racing Club. Today, it is the home of the Shanghai biennial and stands adjacent to People's Square. It sits on the edge of People’s Square, and was once the Shanghai Horse Racing course. The building was constructed in 1933, as the clubhouse for the horse race course. The horse race course was reputed to be the 3rd most profitable industry during the 1930s when the city was still under the rule of the Republic of China. Since the Japanese occupation in 1937, the building was used for military offices. Since the early 1940s, the communists have built an extensive network of underground tunnels in the area. The tunnels under the art museum building still exist today. It connects to the Marriott hotel across the street, Nanjing Xi Lu. Furthermore, the back road had to be refortified in 2005 since the food delivery trucks for Kathleen's 5 were heavy enough to crush the concrete pavement into the tunnels. In 1955, the building was renovated and a terrace was constructed on the roof. The goal was mainly to enable the architects to build wider stairs leading to the clock tower, so that youth can easily visit the tower. 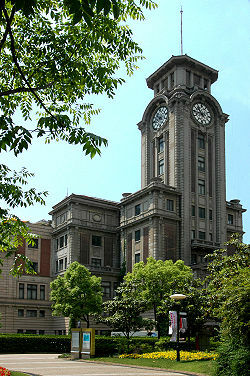 The building has one of the most prominent clock towers in the city, besides the clock tower on the Bund in Pudong. The clock tower in Kathleen’s 5 has historically been associated with decay and corruption in the city, as it is often inaccurate. However, it was renovated in 2006 and has been accurate since then. It is located on the Nanjing Road. It occupies an area of 2200 sq m. It is open from 9.00 AM to 16.00 PM. On the top of the art museum is the Kathleen's 5 restaurant, a well-known restaurant in the city. Shanghai Art Museum is the home to the Shanghai Biennale, which started from 1996. The Shanghai Biennale is considered one of the most important cultural events in Shanghai.